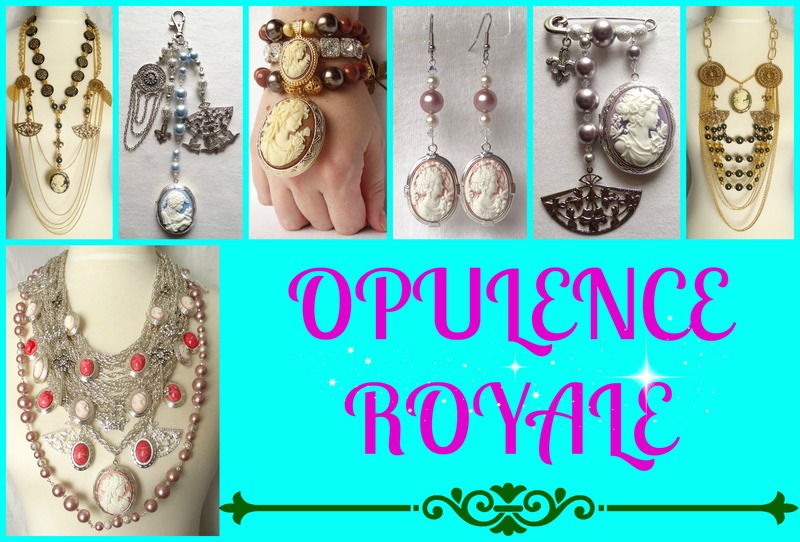 From the King’s Court of old Europe comes the OPULENCE ROYALE collection. Full of rich cameos, Swarovski pearls and crystals and a myriad of other glamorous beads and findings, this collection comes straight from the families of royal nobility. Each locket contains a small treasure of sparkling Swarovskis and have royal titles after the exotic nobility of historic times past. Indulge in the luxury of OPULENCE ROYALE when it débuts tomorrow, May 1st, at Jewel Divas.